Back in high school biology, each fall, part of our homework was to tag monarch butterflies. It involves capturing the little orange and black buggers and putting a small, special tagged sticker on them and then releasing them back into the world. Why do this? Well, I have to say that I never forgot that biology class and running around Sunset Park with a butterfly net. But on a more practical and less specific level, it allows biologists (real ones, not high schoolers) to see when and where a butterfly was first captured and tagged and track it to where it was recovered to look at migration patterns, effects of weather, life span, etc. (I suppose at the other end of the migration path are people looking for dead butterflies with stickers on them, which seems less fun.) You can find out about the project at Monarch Watch. And why do I ramble on about this? 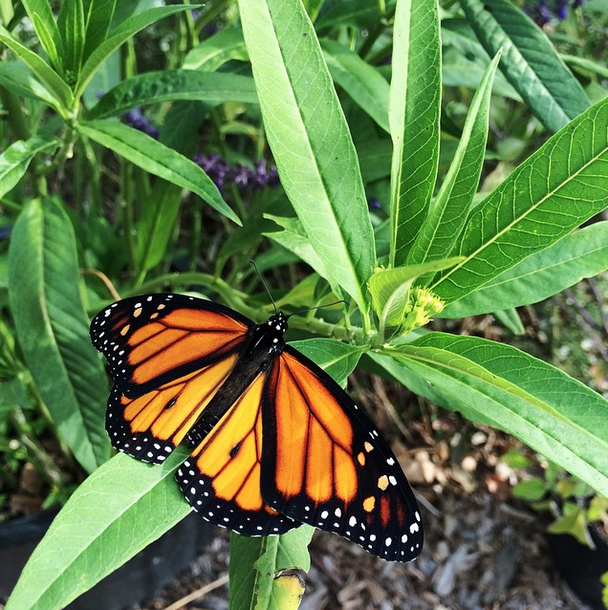 Because the monarch butterflies have arrived in Kansas, and Chaplin Nature Center will be running a free event this Saturday 9/26 from 10am to 3pm where you can help capture and tag monarchs as well as learn more about their migration through the Sunflower State. 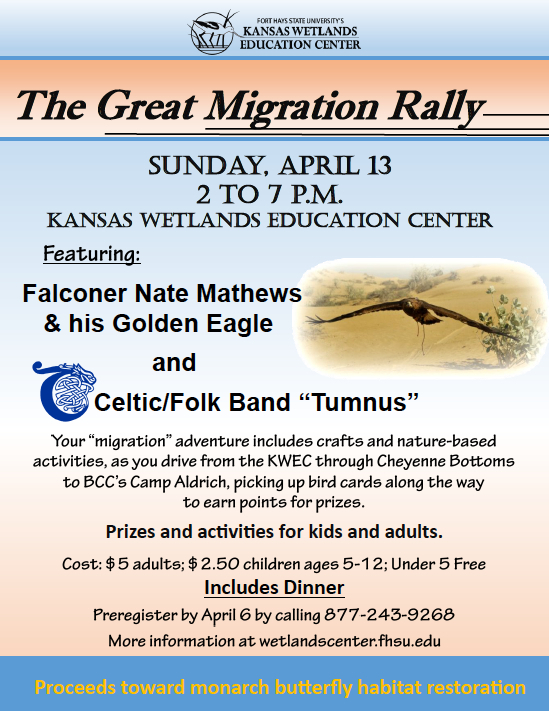 There will also be members of the Wichita Audubon Society leading free nature hikes throughout the day. 2 miles south of Geuda Springs, then 2.6 miles east on 272nd Rd, or 3 miles west of Arkansas City on Hwy 166, then north 2 1/4 miles on 31st Rd. The Visitor’s Center is open on Saturdays 9 a.m. – 5 p.m. and Sundays 1 p.m. – 5 p.m. year round. It is closed Mondays and holidays. September 1 – November 15, Tuesday – Saturday, 9 a.m. – 5 p.m. The piratic flycatcher, more frequently seen in Central and South America, was spotted on May 8 in Scott State Park by Chris Lituma. It’s the northernmost spotting of the bird, and you can read more about the impressive and unexpected discovery here and here. Word spread amongst the birder community, and birders from around the country have flocked (pardon the pun) to the park, hoping to catch a glimpse the small brown and yellow bird. Hundreds of bird species have been spotted at Scott State Park, and it’s home to one of our top 10 trails. Along with individual species, ecosystems themselves can be at risk. One of the rarest is the prairie in Kansas. Once it spread over 170 million acres from north into present day Canada and south into Texas and east of the Mississippi to the Rockies. 1% of that prairie is left, much of the tallgrass prairie is in the Flint Hills, since it was too rocky to plow under, it was protected. It’s a uniquely North American ecosystem, and from the shortgrass prairie closer to the western edge of the state to the tallgrass prairie in the eastern edge, the prairie is home to dozens of types of grasses, hundreds of types of flowers, and these grasses once fed hundreds upon hundreds of bison, antelope, and deer. Fire helps form the prairie by burning out the woodier vegetation, and burns were started naturally by lightning or by Native Americans. Today, conservationists still work to preserve the prairie by burning it. 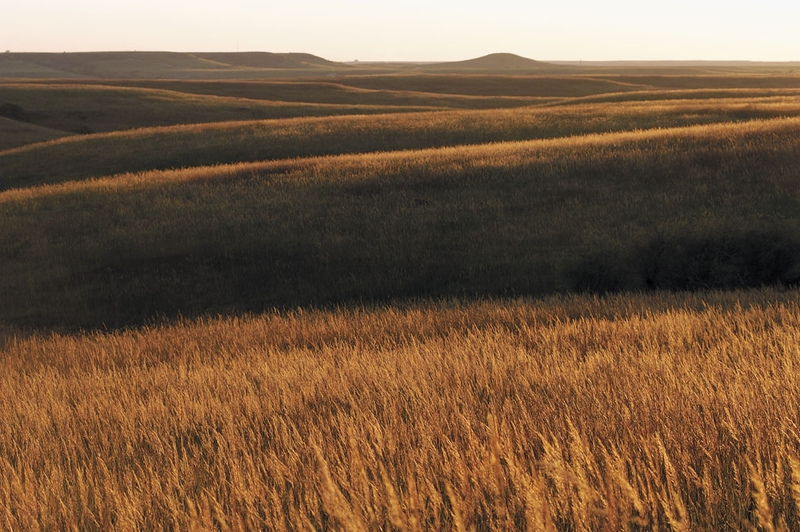 One of the success stories of prairie conservation is the Kansas tallgrass prairie. 80% of the world’s remaining tallgrass prairie land is in Kansas, and the Tallgrass Legacy Alliance brings together private landowners, government agencies, and conservationists to help learn more about, protect, and expand the resource that is the prairie ecosystem. 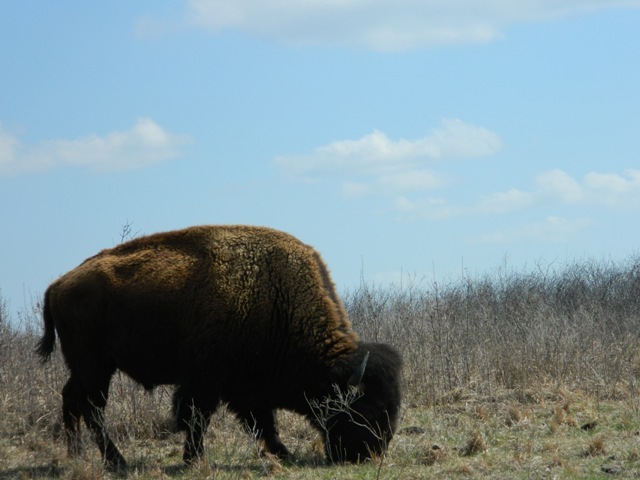 For more information on the tallgrass prairie, visit the Flint Hills Discovery Center in Manhattan. 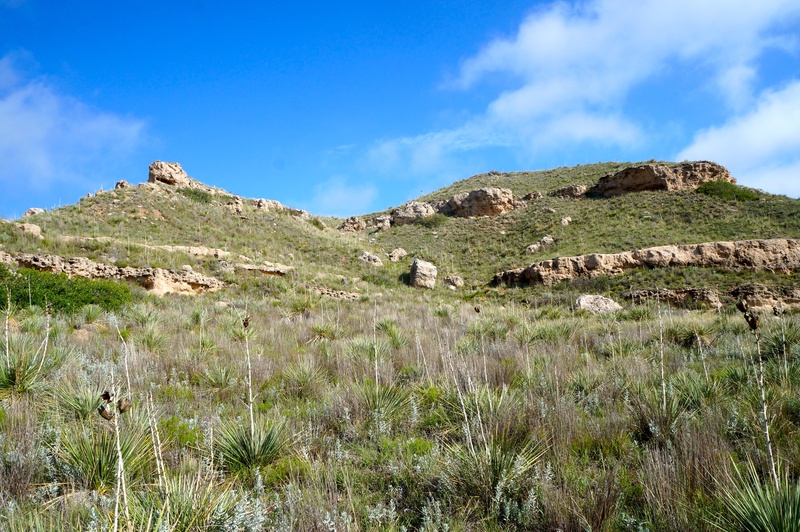 To check out the shortgrass prairie, visit Smoky Valley Ranch or Cimarron National Grassland in western Kansas. Or consider making your yard into a prairie. It takes less water and it provides the natural beauty of swaying grasses and wildflowers. For our upcoming book, we wanted to not just give information on how to navigate the trails of Kansas, but some of the interesting pieces of natural history. 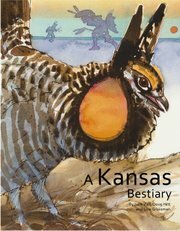 In our reading and research, we came across the book A Kansas Bestiary by Jake Vail, Doug Hitt, and illustrated by Lisa Grossman. The book was recognized as a Kansas Notable Book in 2013, and it’s a short and lovely book of fantastic facts and entertaining stories of 15 animals that make their home in Kansas with beautiful illustrations of each animal. The bestiary is “compendium of beasts.” It’s a book style/genre that was popular in the Middle Ages and the focus was combining natural history information along with illustrations and often with a moral lesson. The animals included in this book range from the commonplace like the grasshopper and meadowlark and bison to the more threatened, secretive, or even endangered like the black-footed ferret, prairie chicken, and badger. If you’re looking for a uniquely Kansas book to gift to yourself or to a loved one, this should definitely be on the top of your list. You can buy the book at a selection of local bookstores and tourist attractions around the state, or you can email: kansasbestiary [at] gmail [dot] com for information about how to pay by check or money order. Threatened and Endangered Species Series: Who Cares? Our task must be to free ourselves, by widening our circle of compassion to embrace all living creatures, and the whole of nature…and its beauty. As I started reading a link from a friend’s Facebook post about how there’s a bill that passed the Kansas Senate last month that would repeal the nearly 40 year old Kansas Nongame and Endangered Species Conservation Act, I choked on my coffee. Having walked mile after mile through the parks and wilderness areas of Kansas and researching for the book, I couldn’t fathom that it would become OK to not care for the threatened and endangered species that live here. After I recovered from my choking fit, I realized that while, yes, there are economic issues at play and that farmers, ranchers, and developers have rights, there’s really no going back after a species has gone extinct. And while this current bill has thankfully been shut down in the Senate, we need to remember to care for what wilderness and wildlife we have left. Our tallgrass prairie is 4% of what it used to be. Our herds of bison have been reduced to dozens instead of thousands. Wetlands have been drained to make farmland or paved over for roads and cities. Balance is key. Yes, people need to make livings. 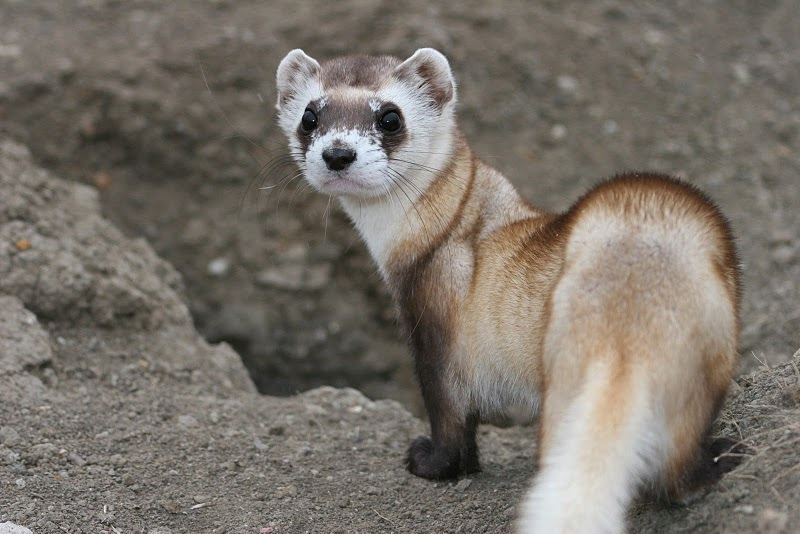 Farmers, ranchers, and developers have rights, but not that trump the rights of the wild world, which doesn’t have a voice to speak for itself, and species that, without our interference, would likely be thriving instead of threatened, like the lesser prairie chicken, the whooping crane, or the black-footed ferret. With the removal of one species from an ecosystem, a disastrous domino effect may occur, and what once was, will never be regained. The needs and wants of today should not be considered more important than the literal survival of an entire species of creature. 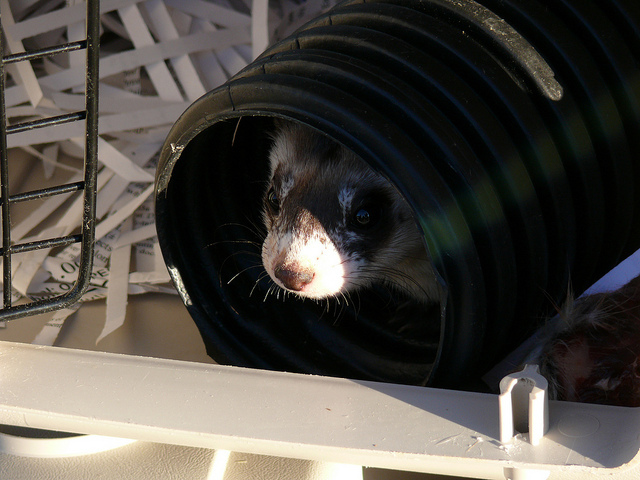 So at KansasTrailGuide.com, we’re going to start a series of articles on some of the threatened and endangered species that make their homes in Kansas, including information on where you can see them in the wild, why you should care about their survival, and what you can do to help ensure their safety.